I’m constantly seeing pressed metal trays at the thrift store for pennies so I finally decided to buy a few and see if I could give them a makeover. 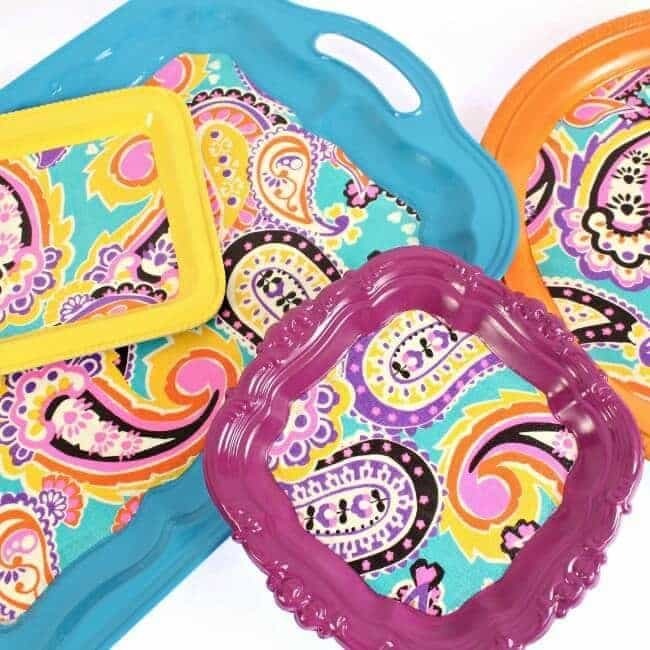 With a little high gloss paint and some colorful fabric, I was able to make an entire set of matching trays to use this summer. This post was submitted by MarkMontanoBlogs.blogspot.com and is shared with their permission. Mark, thank YOU for sharing this fantastic idea with us. 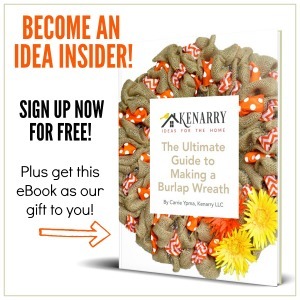 We’re so glad you’ve found our site and hope we’ll be seeing a lot more of your great ideas.